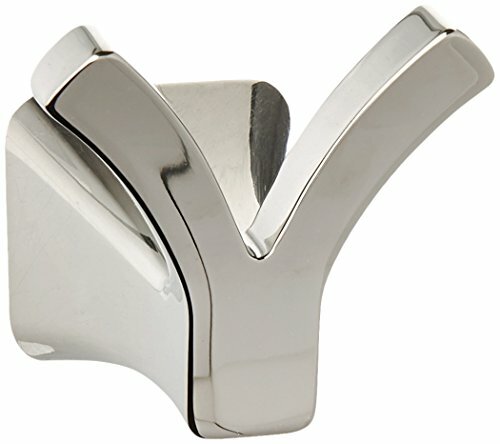 Set apart from typical modern design by its divergence from cool, straight lines, this Tesla Double Robe Hook in Polished Nickel is an elegant, soft contemporary solution for a modern space. Sometimes accessories make all the difference and that's why Delta offers a variety of bath accessory items. From towel bars to robe hooks, we've got what you want. Includes mounting hardware and installation template for an easy weekend DIY project.